MINUTEMAN SECURITY, INC. focuses on providing you with dependable property protection services in the Boston, Massachusetts, area. Backed by more than 40 years of security industry experience, we are very confident in the high skill level of our security guards. In fact, we are so confident that we offer a money back guarantee for the shift. 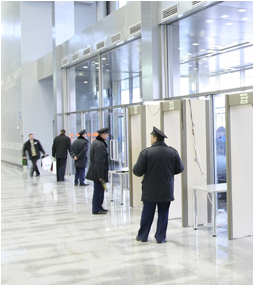 All security guards are provided with extensive training and a full background screening for your safety. Contact us in Boston, Massachusetts, for a free quote on the property protection services of our security guards.